The bottom line on laser light is, it is a very slight growth promoter, particularly for people who have hair loss that is NOT due to DHT. When I say “very slight”, that’s because anytime you put energy into a chemical system, it will promote chemical reactions in that system. Light is photons, and photons are just packets of energy. In order for hair to grow, the chemical reactions that are taking place in your cells (in the stem cells, DP cells, etc.) have to be happening. So, putting external energy into that system will push those chemical reactions forward, promoting hair growth SLIGHTLY… but it does nothing about the effects of DHT. The problem is it’s very much a double-edged sword. Energy in the form of photons also can harm DNA by causing point mutations in the gene sequences. That causes aging of the cells, including whatever cells you happen to be shining the light on. Even worse, laser light is a highly-concentrated beam of photons, so you’re sending that much more photons into the cells, causing much more damage than, say, just standing under a regular lamp. So, at the same time you may be promoting hair growth very slightly, you’re also introducing point mutations into the DNA of those cells, so the longer-term effect is aging of those cells, which leads to senescence of the follicles and eventual hair loss. I don’t know why this obvious point has never been brought up before regarding laser hair treatments. I think that also, the people selling these laser products must know what I just said, but they STILL sell them, because they know that people are essentially ignorant, and they can still sell these gadgets and make a lot of money. 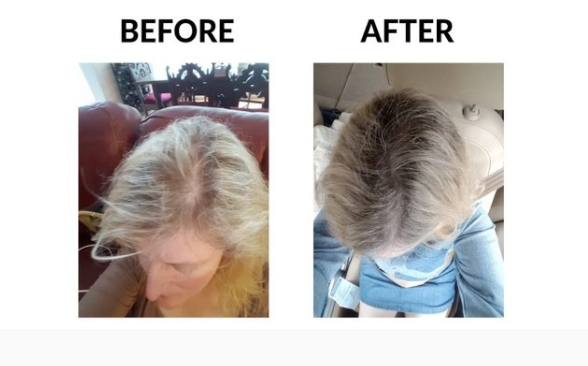 This is the best critique I have read about laser treatment, I never understand why the big fuss over laser, all the before and after pics show only minimal regrowth with near zero density. The only selling point is that you only need to pay for it once and it is supposed to produce zero side effects. But like you said, what if the light energy is also damaging your existing follicles. It becomes a zero sum game.